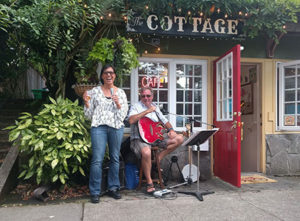 The Cottage Pantry at 30th Avenue and Ainsworth Street celebrated its one-year anniversary with food and fun Aug. 8. The Concordia neighborhood coffee and baked goods café is the brainchild of proprietor and native Portlander Judy Louie, a self-taught baking aficionado who had always wanted her own restaurant. Now, with a year of experience under her belt, she’s feeling positive about her entrepreneurial adventure. 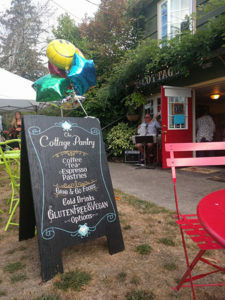 Judy also enjoys the café’s location near an English language school, which attracts students from all over the globe who are intent on learning English, which is required for local college enrollment eligibility. Cottage Pantry is open 7:30 a.m. to 3 p.m. Mondays through Saturdays, and 9 a.m. to 3 p.m. Sundays.